60″ Round Tables 32 Avail. 72″ x 30″ Tables 35 Avail. 72″ x 18″ (Classroom style) Tables 48 Avail. Burgundy Cloth Stackable Conf. Chairs 275 Avail. 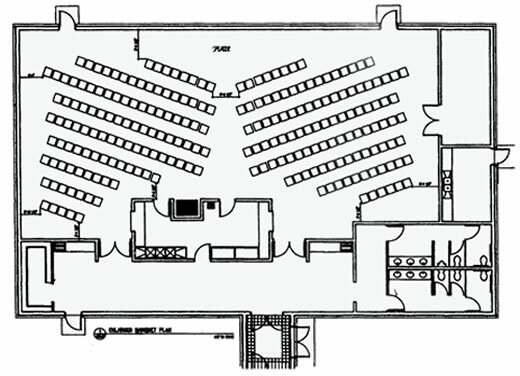 The Dole-Specter Conference Center offers the functionality and flexibility that you need for your conference, party, reception or other event. 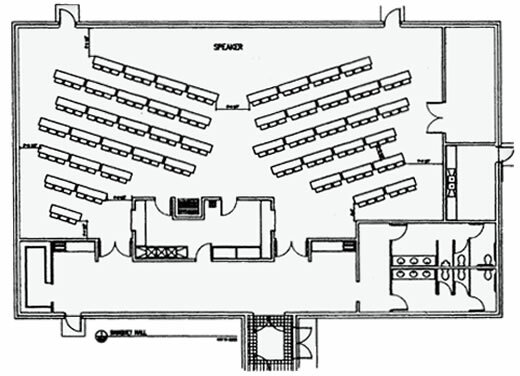 A variety of room sizes and configurations will accommodate groups of 60 up to 250 comfortably. French vanilla table cloths, chair coverings, and burgundy cloth napkins are available upon request for all tables. In addition to tables and chairs, if you would like to make your event a huge success, a complete line of audio visual aids are offered. 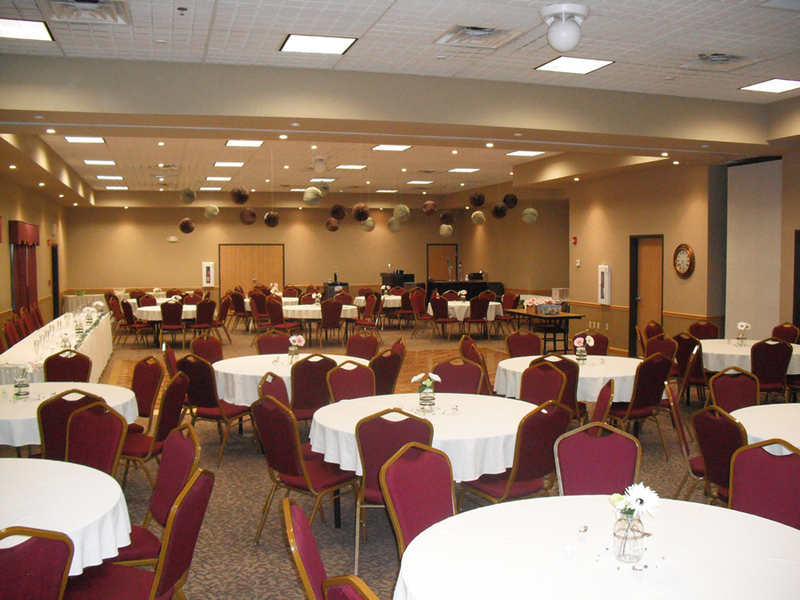 A kitchen is available for use at no additional charge on the date of the event. The kitchen is complete with a commercial refrigerator, freezer, ice maker and ample counter space for meal preparation. Catering and bar service are also available to make your event a success. We provide our guests with an abundance of menu options presented by local caterers. In the event you would like to include bar services, we will provide a well-trained and respectful server for an hourly fee based on the type of function you are planning. In addition to tables and chairs, if you would like to make your event a huge success, a complete line of audio visual aids are offered. All prices are based on a daily rental fee. Please confirm all your requests with management at least 72 hours prior to the event. **All products are subject to applicable state & local taxes. Catering Options: We provide our guests with an abundance of menu options presented by local caterers. Whether your event is large or small, we can satisfy almost any appetite. We offer menu selections ranging from a Danish and Coffee brunch to an elegant steak dinner. **Additional rules & regulations apply to functions that offer alcoholic beverages. 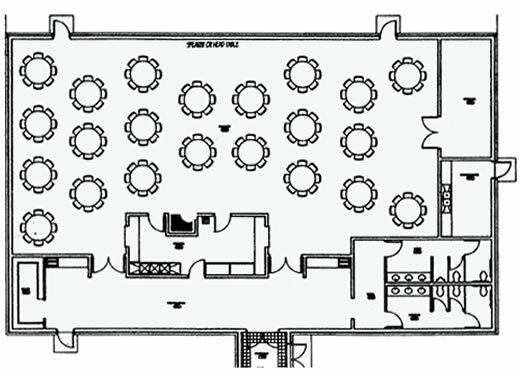 A kitchen is available for use at no additional charge on the date of the event. The kitchen is complete with a commercial refrigerator, freezer, ice maker and ample counter space for meal preparation. Unless otherwise specified in the Meeting Room Agreement, the guest/event host is responsible for cleaning the kitchen after use.